These are very useful cables. We use them every day to recharge our devices without a giant tangle of cords. I backed this company/product on Kickstarter a few years ago! 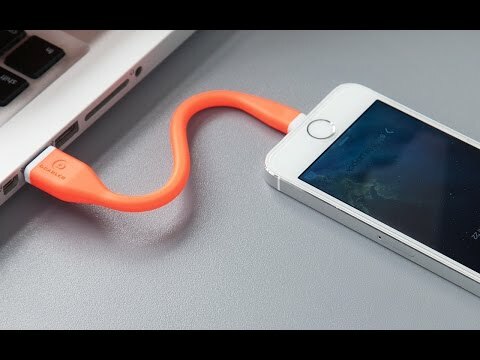 FANTASTIC charging cables! I may pick up a couple more here on The Grommet! It fits in the top compartment of my backpack and in a side pocket of my laptop case without getting all tangled up with other items. Good connectivity and solidly(tho flexibly) built. The perfect cord. I use it with a power pack . The original cord frayed. Great flexibility. Its perfect! I always have high expectations when I order state of the art gadgets, but this is the first one in a long time that performs and looks exactly how it was described. It's flippin perfect! Longer than shorter cord I've had. I found that to be helpful. It also bends at weird angles which I think is also extremely helpful. this is great when you don't have to have the length of a larger cord. I needed this for my hub and it works great. I got different colors for each of the family.so no fighting. 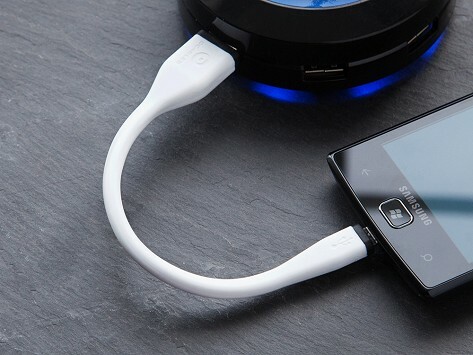 This product is the perfect size; it eliminates the need for messy cords and does a fine job of charging my Android phone.